Hypertension can really wreak havoc on the body. Heart attacks are a huge and valid fear for those with very high blood pressure, but chronically high blood pressure can cause a wide variety of health problems. Listen in as Tony, Will and Kinna talk about the common causes of high blood pressure and learn what you can do about it to naturally balance your body. The connection between digestion, nutrient assimilation, malabsorption and hypertension. The connection between carbohydrate metabolism, blood sugar, blood pressure and electrolyte levels. Self tests you can do to troubleshoot digestive and metabolic issues that may be contributing to high blood pressure. Tools that you can use to help lower your blood pressure. Resources you can tap into for expert guidance and holistic solutions. 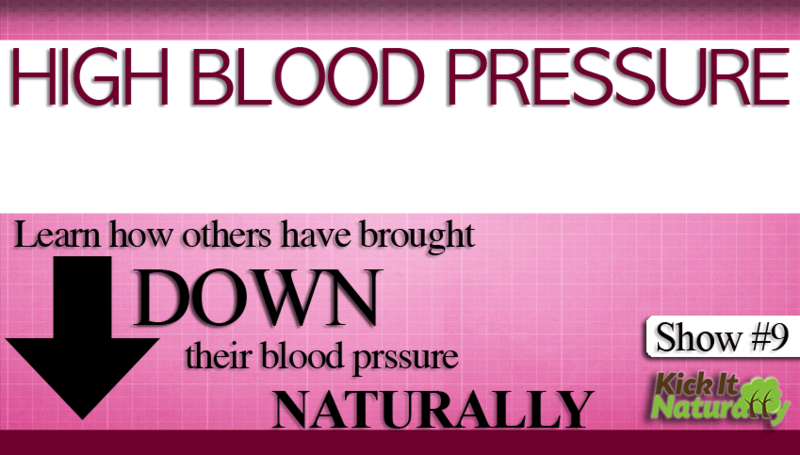 The holistic view on blood pressure medication. How diet strategies, water consumption and supplementation can help you balance your blood pressure and relieve your symptoms.